It is the first product of this kind featuring a full automatic mode, which works in background so that you don't have to care about when to launch it. As a proof of its efficiency, it often finds up to many Gb not even seen by its competitors so... give KCleaner a try ! 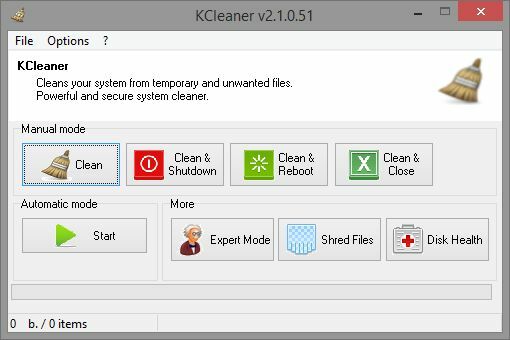 And if data security is something you are interested in, you'll love the secured file deletion methods proposed by KCleaner, making deleted files unrecoverable by any known mean.